Over the past weekend Jacob and I went to an appliance store to buy a washer and dryer. 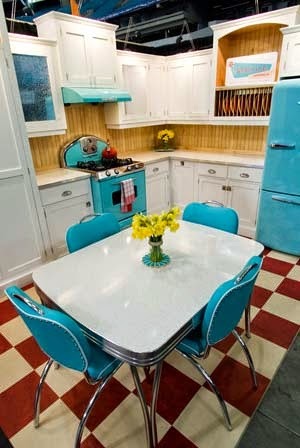 While we were waiting to look at a set, I spotted THE most fabulous stove and fridge I had ever seen in my life. They were an incredibly bright fire engine red with chrome trim, and they were fantastically vintage looking! 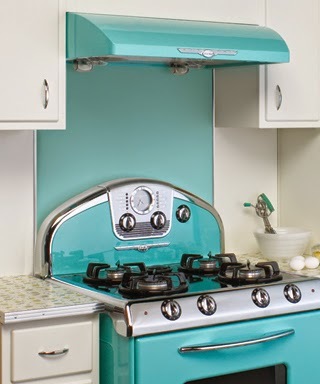 I, of course, ditched Jacob and scurried over to find out what the heck this amazingness was and how long I'd have to save up for one, and I was delighted to find there's an entire company devoted to recreating antique and vintage style appliances! 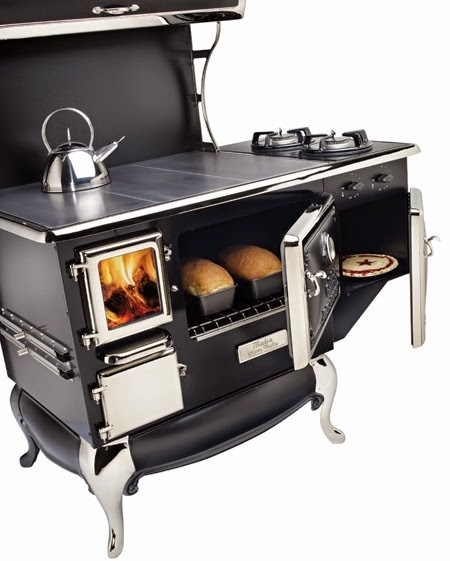 Try not to drool as you check out these beauties from Elmira Stove Works﻿. They also take custom orders in case there's something specific you would like. 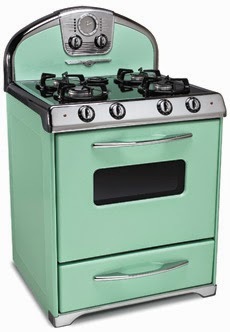 Personally, I'm looking for a mint/pistachio colored 1920s-30s stove........ but that may have to come later. I dream, I dream. 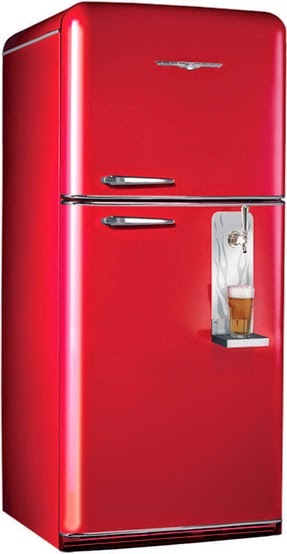 What's your favorite appliance? What would you like to add to your kitchen? a built in drink thing?! Yes!!! It burns wood AND runs on gas!!! How awesome is that?! Yes pistachio/mint, come to meeee! Elmira stoveworks factory is about 1 1/2 from my house. I've drooled over their stuff for years, but price usual dashes my dreams. I will hold onto my dream though and maybe just maybe I'll own one. 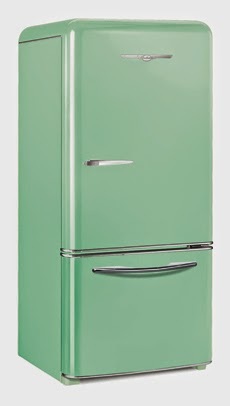 I love the mint fridge as well. It has the modern feature of the freezer on the bottom but looks vintage. So neat! Thanks for sharing these. I've loved their stuff for years. 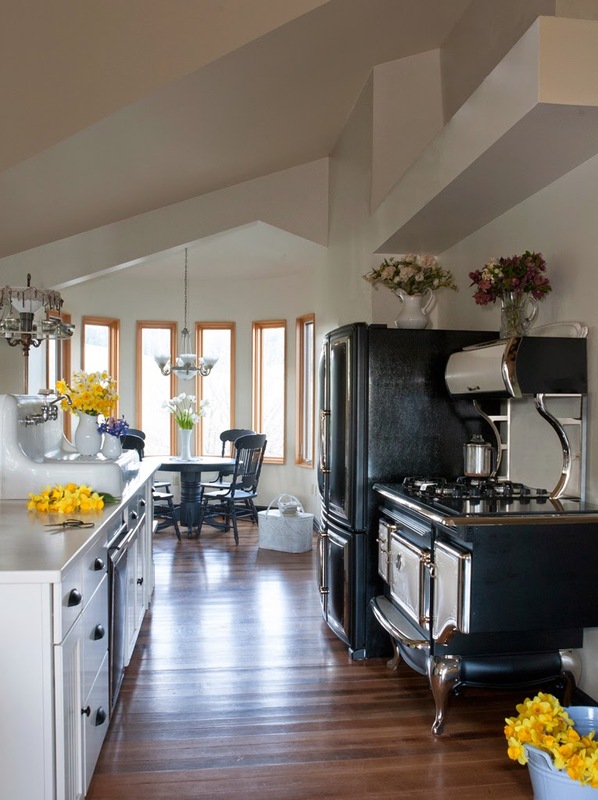 If I ever get to redesign a kitchen I would love to get one of their antique-style stoves, although it would certainly be a splurge!